A bishop has been taken to court in South Africa after he claimed that gay people were lower than animals—and more confused than dogs. Port Elizabeth’s Equality Court heard a complaint made against bishop Joshua Maponga about an anti-gay sermon he gave on January 13, reports The Weekend Post. Church member Zolani Simayi, who is from east London, said that the bishop used negative terms when speaking about gay people in the service at Seventh Day Adventist Church in KwaMagxaki. “[Maponga] further suggested that the act of males sleeping with males is a manifestation that humans have also gone below animals,” Simayi said, according to The Weekend Post. He added: “Everyone has a right to freedom of expression, but that right is not absolute—it has limitations. “That is, it must not lead to the spread of hate or infringe on the right to dignity of the LGBTI individuals. The bishop said he made the sermon in relation to statements in the Bible’s Epistle to the Romans. 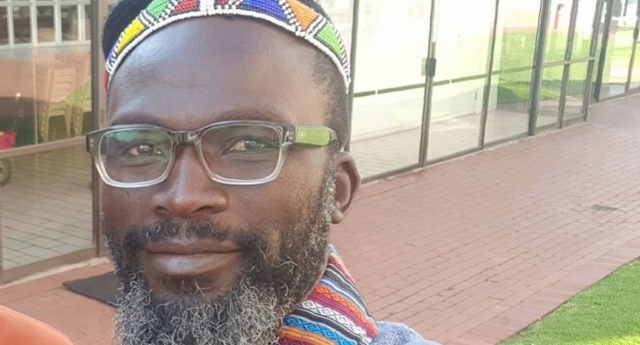 In a written apology to the South Africa Human Rights Commission, Maponga said: “It is unfortunate that I used the illustration of ‘dogs’ to make the point about this Bible text. “I am sorry for the pain I caused and I understand the seriousness of the issue of the right to be treated with dignity and the preaching of the gospel without dehumanising other people. A further court date is expected to be scheduled. Seventh Day Adventist Church said Maponga was not an employee at the church.